Seychelles, January 2019 – Kempinski Seychelles Resort Baie Lazare was the destination of choice for 90’s pop sensation, Nestor Haddaway, during his recent visit to the Seychelles. The artist and musician, best known for his Eurodance hit single, “What is love?” which topped the pop charts in 1993, began his inaugural visit to the Seychelles with a stay in the Baie Lazare luxury hotel. Haddaway was travelling for leisure and taking time out from his busy music career. 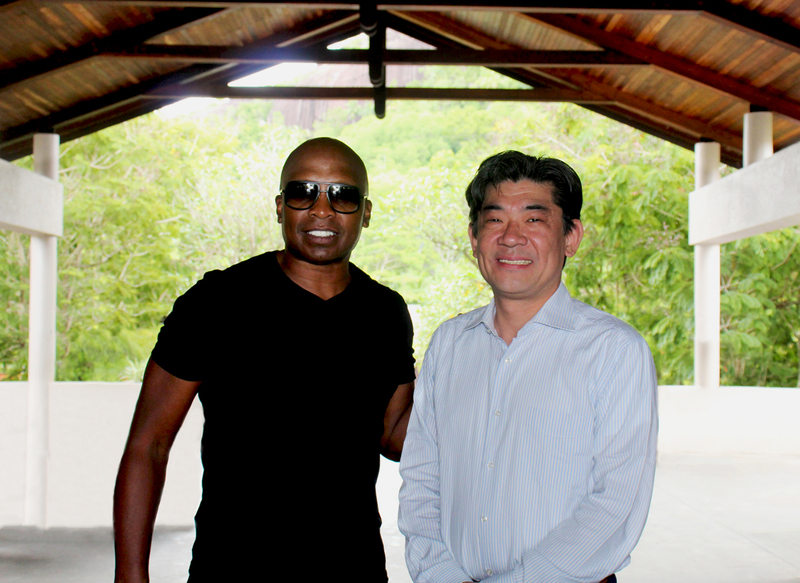 Hotel general manager, Masami Egami, was on hand to welcome the pop star to the Seychelles.